Photo: West shoreline of Mono Lake. Eastern Mojave Vegetation West shoreline of Mono Lake. Former shorelines of higher lake stands are prominently highlighted by the late afternoon sun. Field Notes: 4-Jun-06 near Conway Summit. A Checklist Flora of the Mono Lake Basin, Mono County, California and Mineral County, Nevada. : Introduction. 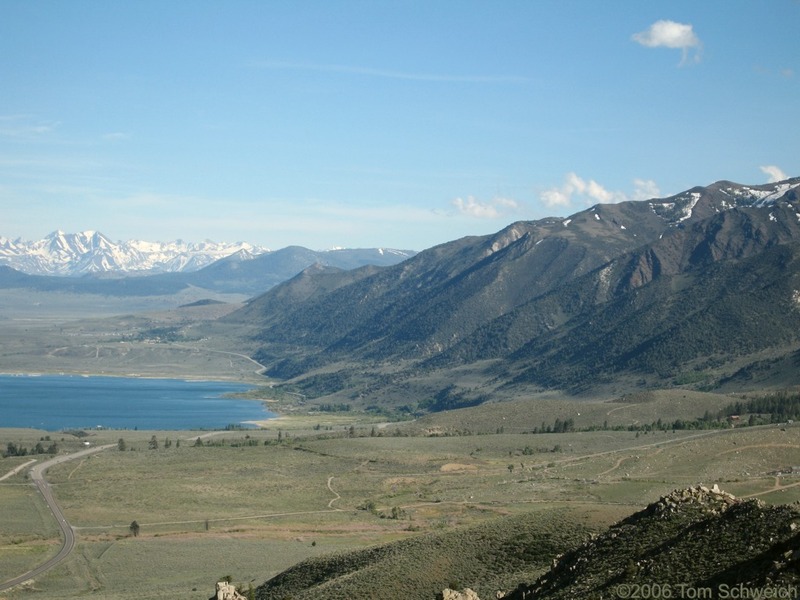 U. S. Highway 395: at Mono Lake Vista.